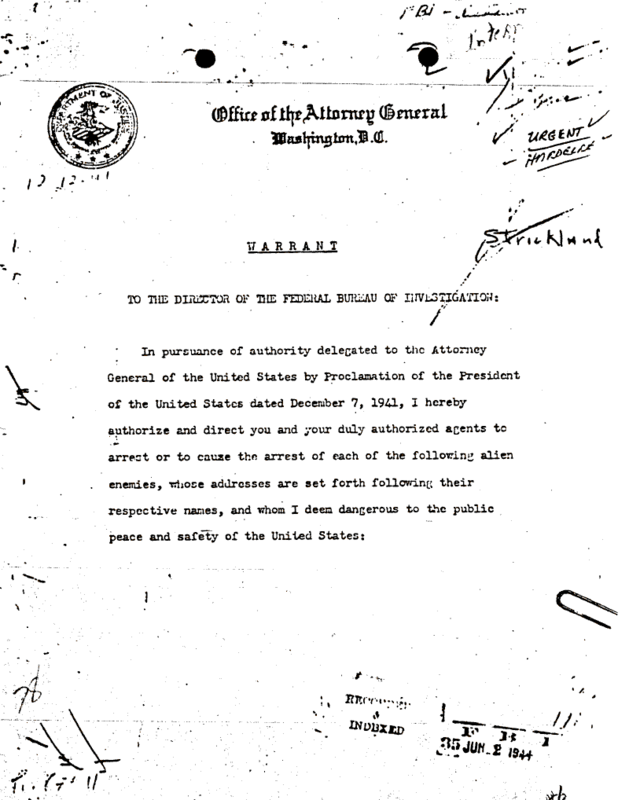 Document Notes: Example of a Presidential Warrant for the arrest of dangerous individuals. Bainbridge Island, near Seattle, was a hotbed of Japanese espionage prior to Pearl Harbor. Numerous Magic messages detailing harbor operations were intercepted. In 2004 a monument to those evacuated, including the spies, is being erected.